Upliftv announced today the premiere of Uplifting Missions, a program dedicated to proclaiming the grace of Jesus Christ and the teachings of the gospel while it highlights Upliftv’s commitment to evangelize and support those in need. Starting August 10, 2017, every Thursday at 8 p.m. EST, Uplifting Missions will feature thought-provoking discussions, musical performances, teachings and sermons, as well as inspiring interviews from recognized personalities and community leaders whose stories serve as a testimony of faith, goodwill and salvation. The program aims to preach the Christian gospel as it creates awareness of Upliftv’s efforts to serve the community, including the network’s mission to create a digital Bible, its commitment to produce more wholesome entertainment, and its partnership with Mission Exchange to help orphans in India and Africa, among other humanitarian efforts. 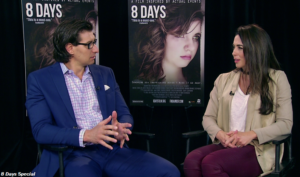 Hosted by Christian singer Tony Lebron and TV personality Iviani Figueroa, Uplifting Missions is designed to examine religious, cultural and entertainment topics. Some of the guest that are scheduled to share their knowledge and testimony are: Dr. Mark J. Chironna – Author and Founder of The Masters Touch International Church, and Jaco Booyens – Filmmaker known for the hit movie 8 Days. Upliftv is owned and operated by Olympusat, Inc., a leader in the Hispanic television and media space through its 100+ SD and HD Spanish and English-language television networks, and it’s currently available in over 20 million U.S. households on DIRECTV, Buckeye Broadband, Consolidated Communications, Frontier Communications and Hotwire Communications. Upliftv announced the premiere of Evangefest, a Christian variety show committed to proclaiming the teachings and blessings of Christianity, starting June 25, 2017. Every Sunday at 1:30 pm ET, Evangefest will focus on the good news of the gospel, as knowledgeable and talented guest stop by to proclaim the word of God through art, crusades, preaching, music and literature. Hosted by Beth Bridgers, Evangefest is not a regular variety show, but a space of worship, where viewers can enjoy of concerts, documentaries, ministers and praise the lord. Beth Bridgers is a well-known evangelist who has dedicated her life to the teachings of Christianity. Her work professes and preaches the word of God, reaching her audience in a spiritual and personal level. Her latest project, Evangefest, stands as a reliable source Christian entertainment, as it uplifts the spirit and guides the viewer towards placing their faith in Jesus. Upliftv is owned and operated by Olympusat, Inc., and it’s currently available in over 20 million U.S. households on DIRECTV, Buckeye Broadband, Frontier Communications and Hotwire Communications. Upliftv the network that offers inspirational movies, captivating series and documentaries, as well as a variety of TV ministries, announced the premiere of Cinema Saturdays, a faith-based movie block presented by Parables on Saturday April 15, 2017. Every Saturday at 7 p.m. EST, Cinema Saturdays will showcase an uplifting and thought-provoking movie suitable for the whole family. This new programming block offers the Upliftv audience a powerful collection of highly-acclaimed films that proclaim the word of God and the teachings of Christianity. Pieces of Easter – April 15, 2017, at 7 p.m. EST. 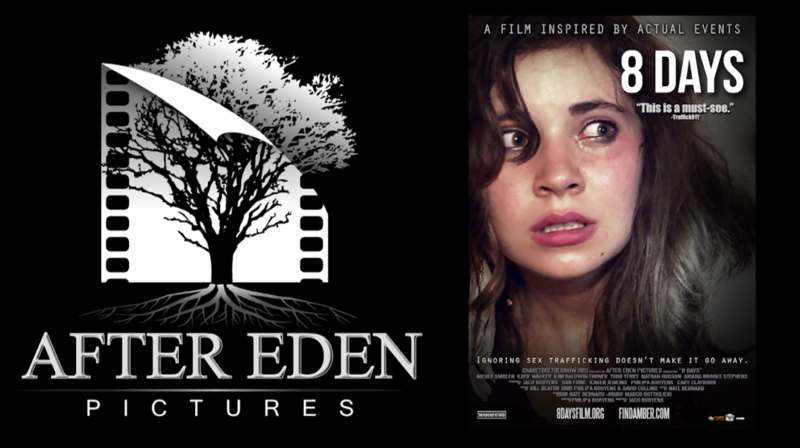 Synopsis: Pieces of Easter tells the story of Alza Bennett, an arrogant young executive who is forced to rely on the assistance of a grizzled and reclusive farmer to get her home in time for Easter. Soda Springs – April 22, 2017, at 7 p.m. EST. 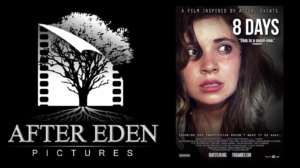 Synopsis: Soda Springs tells the story of Eden Jackson, a man who returns to his hometown after being away for eight years. However, everything proves to be more difficult than expected because the community is not willing to forgive his past. Despite all adversities, Eden is determined to make things right and start his journey toward redemption. 2 to Tangle – April 29, 2017, at 7 p.m. EST. Synopsis: 2 to Tangle tells the story Jessica, a young woman who is mourning the loss of her one true love. However, shortly after his death, she believes to have seen his spirit. Terrified and confused, Jessica seeks out an explanation and discovers that the key to her deliverance is her faith. Upliftv premieres The Supernatural Now, a TV ministry committed to proclaiming the supernatural power of God and the teachings of Christianity. Every Sunday at 2 p.m. EST, The Supernatural Now professes and preaches the good news of the gospel, hoping to spread the word of God worldwide and evangelize the poor in spirit, the sick and the brokenhearted. 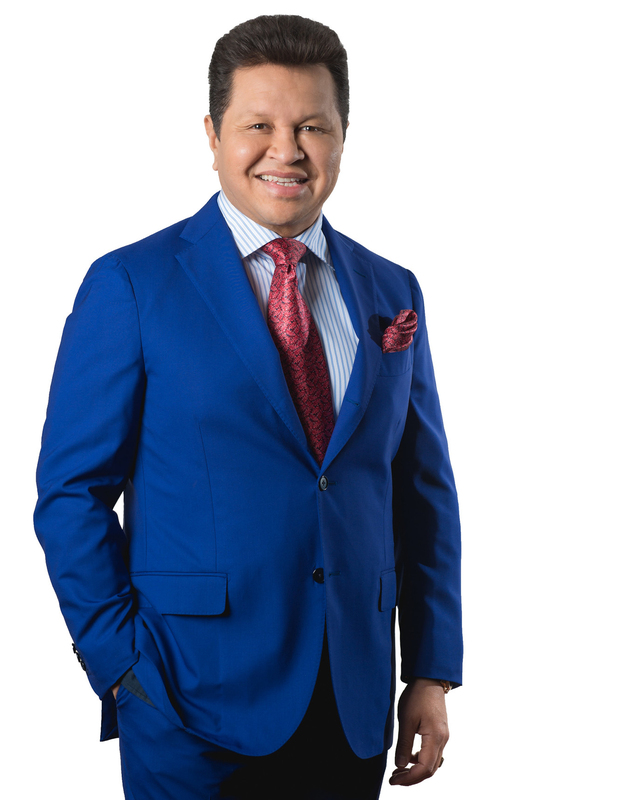 Led by the internationally known and highly respected Christian Pastor – Apostle Guillermo Maldonado and his wife – Prophet Ana Maldonado, The Supernatural Now aims to develop strong leaders for the kingdom of God, transforming their body, soul and spirit. “We are excited to offer The Supernatural Now as part of our one-of-a-kind lineup of ministries and movies; Apostle Guillermo Maldonado and Prophet Ana Maldonado have dedicated themselves to proclaiming the word of God”, stated Bob Higley, CEO of Upliftv. “Their faith and commitment is reflected in their work, especially in the enthusiasm with which they carry out their mission”. Apostle Guillermo Maldonado has dedicated his life to establishing the kingdom of God throughout the world. He has authored over 50 Christian books and manuals, many of which have been translated into Spanish, English, Portuguese, Italian and French. His program The Supernatural Now transcends the physical boundaries of the church reaching individuals of all ages, races, and cultures. 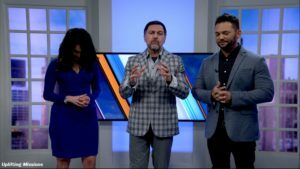 The Supernatural Now is the official TV program of the King Jesus International Ministry, a Christian ministry founded by Apostle Guillermo Maldonado and Prophet Ana Maldonado. In 2016, the King Jesus International Ministry was named by Outreach Magazine as one of the fastest growing multicultural churches in the United States. Upliftv, the faith-based network that offers inspirational movies & documentaries with a variety of ministries and TV series for denominations of all ages, is present at the NRB International Christian Media Convention – Proclaim 17. Throughout the convention, Upliftv met with some of the most recognized names in the Christian community including celebrities, ministers and bestselling authors. These sit-down conversations, hosted by TV personality and singer Tony LeBron, focused on promoting the latest projects of each guest and sharing with the audience some heartwarming and motivational stories. During the last day of the convention, Upliftv had the opportunity to sit down with George Barna – Founder of the Barna Group, who discussed a recent nationwide survey completed by the Barna Research Group that determined that only four percent of Americans had a biblical worldview. Barna, who has researched the Christian Church since 1984, stressed that a biblical worldview is based on the infallible Word of God. 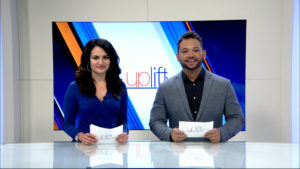 Upliftv also spoke to Nancy Hanson from the Capstone Foundation and the Uplift Foundation, as well as author and George W. Bush impersonator John Morgan – War on Fear and children’s book author Todd Courtney – Be Responsible Like Max. Upliftv is owned and operated by Olympusat, Inc., one of the largest independent media companies specializing in the ownership, distribution, production and technical services of Spanish-and English-language channels, and it’s currently available on Directv, Buckeye, Frontier and Hotwire. Up-and-coming singer Christian Cuevas also stopped by the booth, where he shared his experience at the hit reality television singing competition – The Voice. During the sit-down conversation, Christian Cuevas talked about his faith and sang for the Upliftv cameras. The artist also highlighted that he is currently working on new music for an upcoming EP. In addition, celebrated Christian singer-songwriter, Erskin Anavitarte, also talked about his recent success and the inspiration behind some of his most popular songs. Upliftv will continue to conduct interviews throughout the day. This year the NRB International Christian Media Convention is being held at the Orlando World Center Marriott in Orlando, Florida, from February 27 to March 2, 2017. During the convention, Upliftv is conducting uplifting and motivational interviews to well-known Christian personalities, ministers and authors. These sit-down conversations, hosted by Christian singer Tony LeBron, are focused on the latest projects and future plans of each guest. Among those interviewed at the Upliftv booth are Jackie Carpenter and Cameron Arnett from the Christian View, radio personality Autumn Miles, producer Paul Blavin and the Christian vocal trio Selah – who talked about the inspiration behind their music and the great joy caused by proclaiming the word of God through their songs. Emmy Awards nominee Corbin Bernsen and former athlete turned actor TC Stalling, also stopped by the booth to share insight into how they are able to spread the word of Christ through film. Upliftv also spoke to several renowned authors including Tory Martin – Of Moose and Men, Riva Tims – When it All Comes Together, Robin Bertram – No Regrets, and New York Times bestselling author, TV personality and former Major League Baseball star Daryll Strawberry and his wife Tracy who promoted their latest book Imperfect Marriage, Help for Those Who Think It’s Over. Upliftv will continue to conduct interviews throughout the remainder of the convention. This year the event is being held at the Orlando World Center Marriott in Orlando, Florida, from February 27 to March 2, 2017. 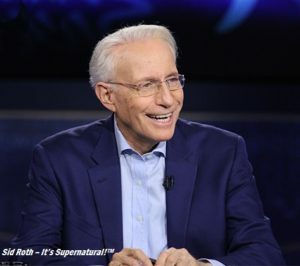 Upliftv, the faith-based network that offers more inspirational movies and documentaries than any other faith channel and includes a variety of ministries and TV series, proudly presents Sid Roth – It’s Supernatural!™, a TV ministry, committed to proclaiming the grace of Jesus Christ. Every Tuesday at 10:30 a.m. EST, Sid Roth – It’s Supernatural! investigates and reports thought-provoking stories of people who have experienced extraordinary healings, miracles and personal encounters with God. Hosted by the well-known and respected Christian Minister, Sid Roth, Sid Roth – It’s Supernatural! stands as a cutting edge tool designed to proclaim Christianity worldwide. Sid Roth has dedicated over 35 years to spreading the word of God. His books, They Thought for Themselves and The Incomplete Church have been distributed in eight different languages. Mr. Roth has spoken in numerous Christian conventions around the world, including the first Jewish Evangelistic Meeting in St. Petersburg, the World Convention of the Full Gospel Businessman’s Fellowship, and Christ for the Nations. Upliftv is owned and operated by Olympusat, Inc., a leader in the Hispanic television and media space through its 100+ SD and HD Spanish and English language television networks, and it’s currently available on DIRECTV. To learn more please visit CapstoneLegacy.org or Upliftv.com. Upliftv, the faith-based network that offers more inspirational movies and documentaries than any other faith channel and includes a variety of ministries and TV series, proudly presents The Inspirational Art of Thomas Kinkade, an Upliftv original production. 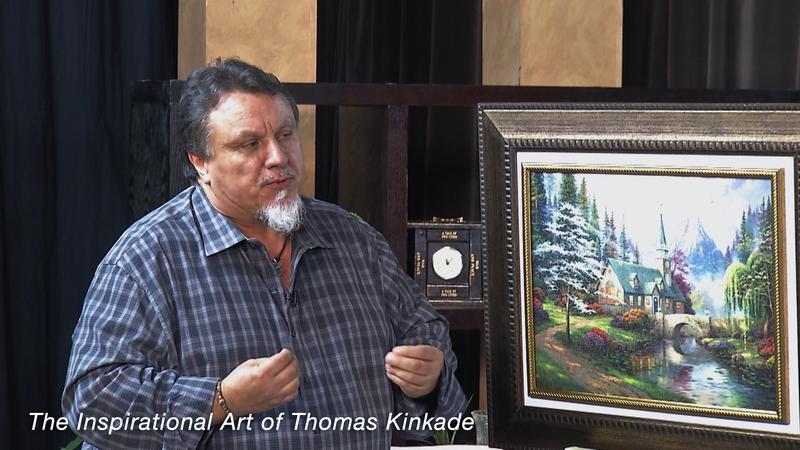 This Christmas season, The Inspirational Art of Thomas Kinkade, takes an inside look at the lifework of one of the most renowned painters in modern American history, Thomas Kindade. 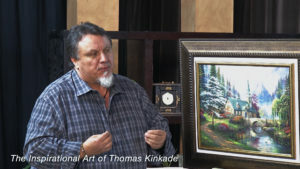 Each episode highlights two of Kinkade’s most popular paintings, which often portray Kinkade’s faith and spirituality. Known as the Painter of Light, Thomas Kinkade’s talents spanned many genres. The artist was an accomplished public speaker and a top-selling author, who devoted his career to sharing an inspirational message of faith, nature, and family. Starting this week, an episode of The Inspirational Art of Thomas Kinkade will air every Tuesday at 6:30 p.m. EST and Thursday at 2 p.m. EST. The paintings that will be featured during these special Christmas episodes are: Christmas Chapel, Christmas Cottage, Christmas Miracle, and Silent Night. “Thomas Kinkade’s art was meant to move and uplift the spirit, which is precisely why Upliftv wants to share it with its audience,” stated Bob Higley, President of the Upliftv Foundation.